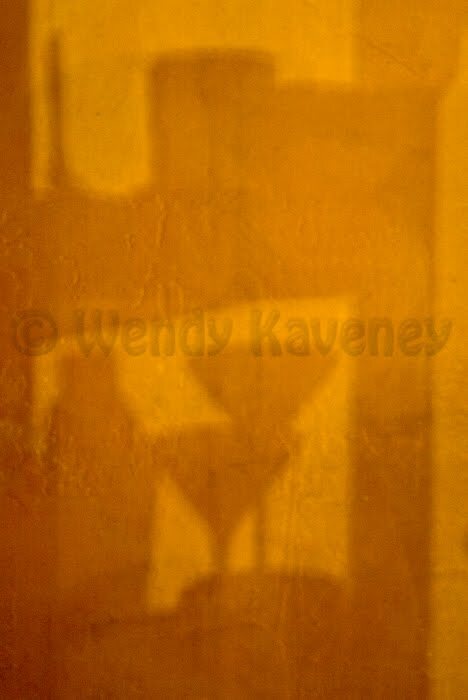 Returning to the theme of "shadows," I decided to post more images which show the soft and subtle side shadows. Soft shadows result from a diffused light source. This image was made from the doorway of a lighthouse on the Oregon coast. 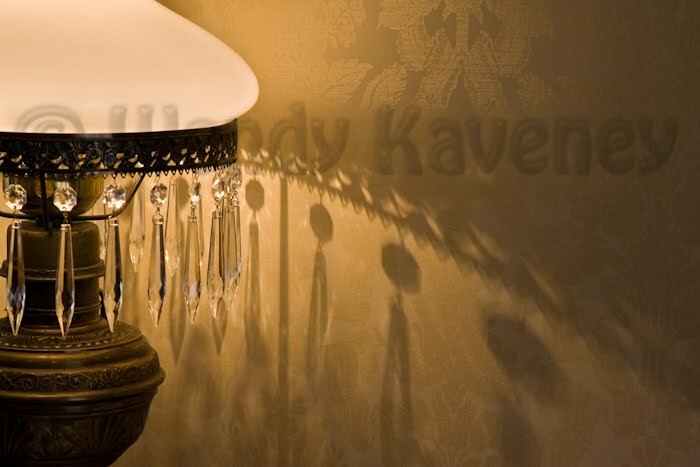 I liked how the crystal shadows spread across the wall and are soft enough to let the pattern of the antique wall paper show through. 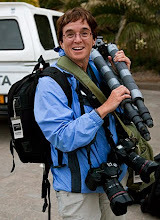 One just never knows when a photo op will arise...This image was made in a restaurant in Alaska (on my way to the ladies room, believe it or not! ) I was visually drawn to the recognizable shapes from a lighted display in an adjoining gift shop 'projected' onto the brilliantly colored wall. In Valparaiso, Chile, I was photographing the patterns of the fence shadows which looked (to me) like paths made of lace. 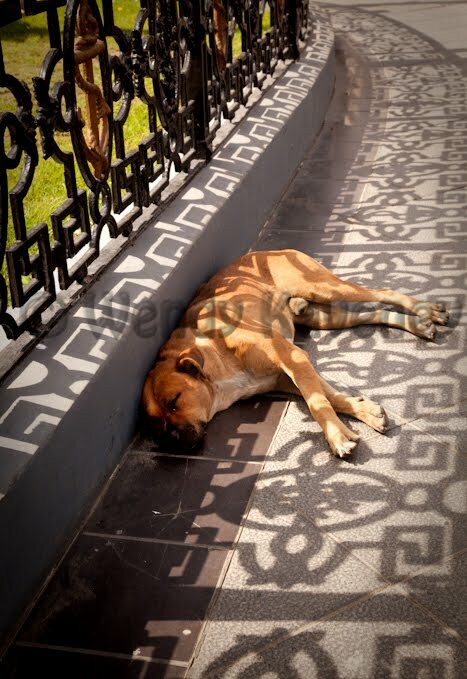 I came to a place where a sleeping dog was decorated by the patterned shadows. If you have been following my blog for a while, you will realize that this image was a 'double themed' find for me: shadows AND dogs!